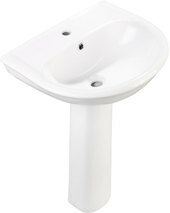 While Pedestal Basins are classic designs, and indeed they are available in traditional styles, they have really opened up the world of bathroom design to modern and stylish ideas. All of the suppliers we will include on these pages are worth visiting to explore their full range of options. 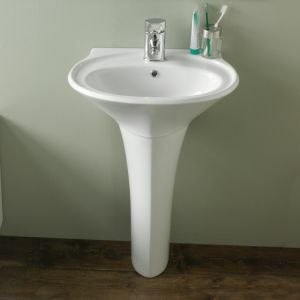 The Toni Large Basin with Pedestal is just £29. 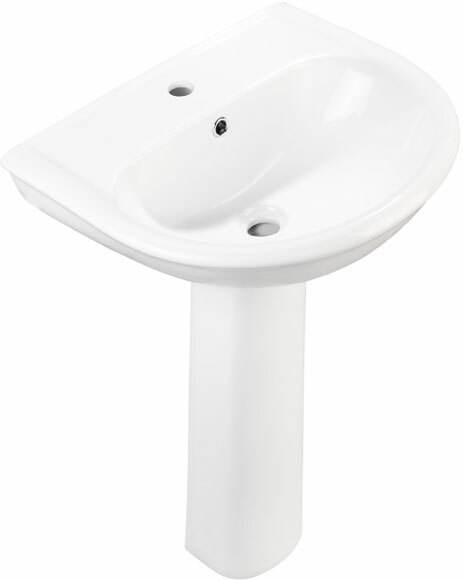 It is fairly representative of the standard styles of pedestal basins, that if white and not avocado, will not age badly. Ideal for renovations and comes with single and double tap holes. At the other end of the spectrum, both in pricing and in style is this Trapani Glass Wash Basin with Wooden Pedestal Stand and Tap. 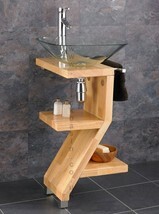 At £199 it may not sound cheap, but only in comparison to the basin above. This is an excellent deal for a statement design, especially when including the tap. Styling does not have to be expensive. 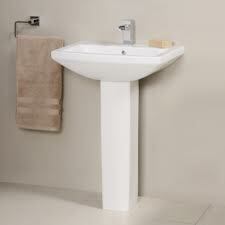 This Cheap Suites Oval Basin Sink and Pedestal is less than £50, but still provides both a traditional feel to a bathroom, but also neat modern styling. It is one of many varieties on offer at this store. On the same theme as the above, both B&Q and Wickes, always have inexpensive versions of mass produced modern styles. This looks basic, neat and modern, yet comes in under £50.